Hi! I'm Nicole Gallant and I blog about all things vegan lifestyle from healthy and oil free recipes, fashion and beauty to what I eat at restaurants, product reviews, festivals and lifestyle tips. Lasagna is comfort food for most people but it can also be healthy and nourishing! When I found Spinach Lasagna Noodles in the grocery store I had this idea to make a lasagna packed with healthy greens. 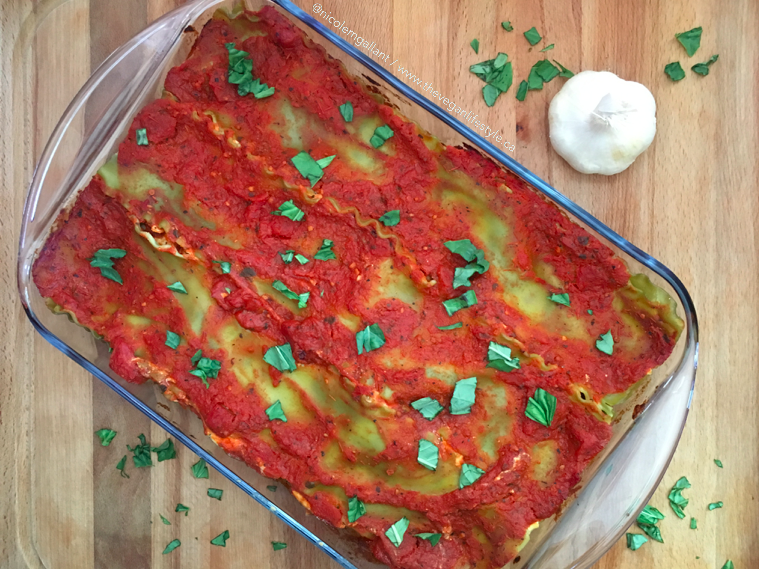 This vegan lasagna gives you spinach, zucchini, artichokes, oregano, thyme and basil with a creamy tofu ricotta and a tomato sauce of your choice. I used a fire roasted tomato and garlic sauce and I definitely recommend it if you can find one in your store! 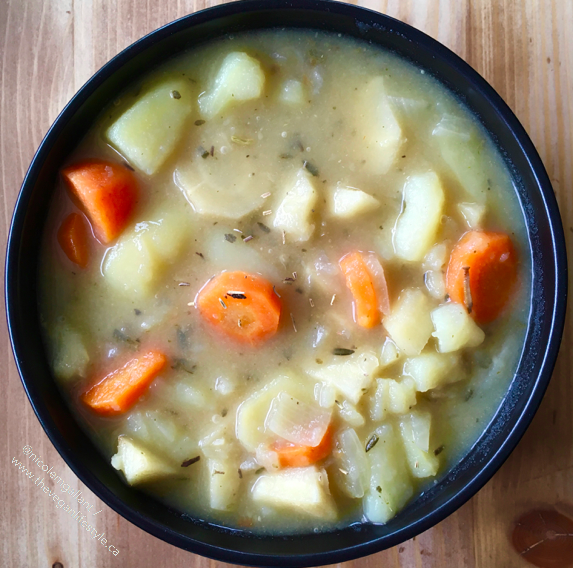 I put this soup together on a day when I had some leftovers from my other recipes and it turned out good enough to make it to the blog! Soup is a great way to use up your vegetables that may be about to go bad or for those times that you accidentally buy too many vegetables like I did this week. As long as you have veggie broth, herbs and spices and some veggies, you can put a soup together! I used to love scrambled eggs before being vegan and I didn't think I would ever get to have a vegan option that can actually mimic that egg taste. 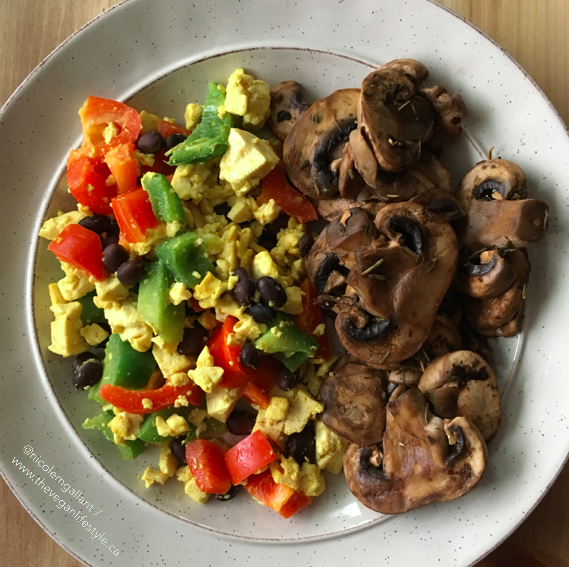 It turns out there is a way to make a vegan scramble that can compete with the real thing. The secret to a tofu scramble that actually tastes 'eggy' is Kala Namak (Black Salt). It's not the easiest to find here in Canada but I'm fortunate enough to live close enough to Coven Plant Based Marketplace in Hamilton, Ontario and they recently started carrying it. I had heard about the benefits of Black Salt before and had wanted to try it so I jumped at the chance to try it! 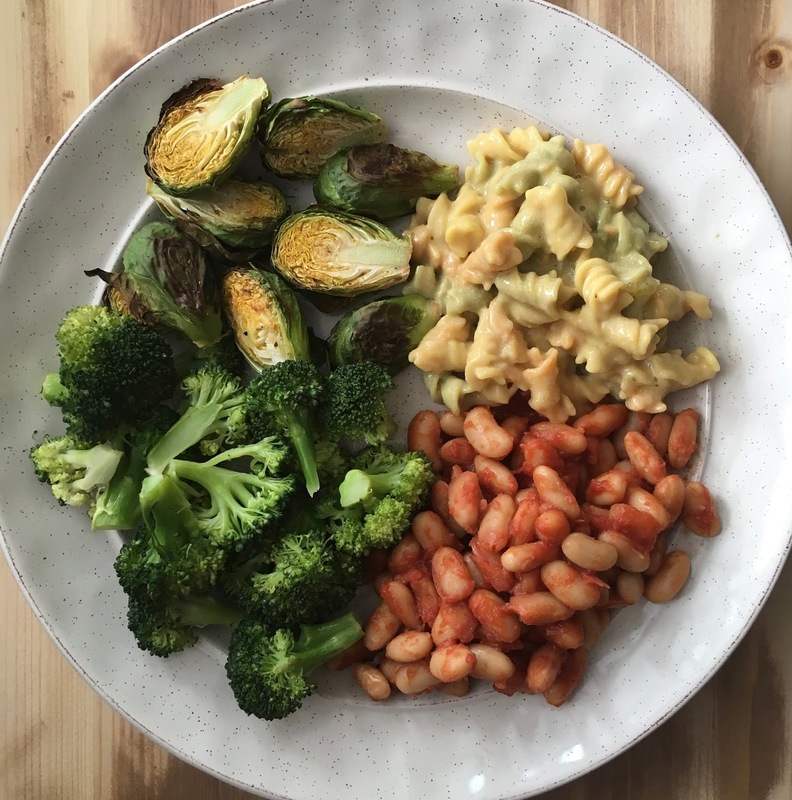 On those nights when I don't have anything prepped, my go-to has been these quick cooked beans or my 15 minute cheesy pasta but they also go well together and with some veggies! If you haven't seen the new Canada Food Guide already, Canada's guide now recommends your plate to be about half veggies, 1/4 proteins and 1/4 whole grains. When I was watching the news coverage on the new guide, there were some concerns about whether the new guide is realistic or attainable. I put this plate together to show what a plant based meal can look like when following Canada's Food Guide. It is definitely attainable and it can be made super easy! This whole meal can come together in 30 minutes and requires minimal ingredients. I know that pressure cooker's are trendy right now but I only have a Crockpot right now and I think they're still a good option for those who may not be able to afford the pressure cookers which can be quite expensive. I haven't used my crockpot in a while and I haven't made Chili in a while so this cold winter weekend was the perfect time to get out the Crockpot. 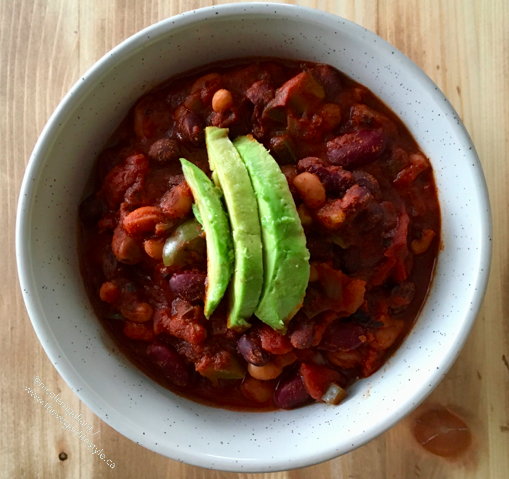 A warm, spicy bowl of this 4 Bean Chili is sure to satisfy on the coldest days! I reached out to Gosh to get more information about their testing status. 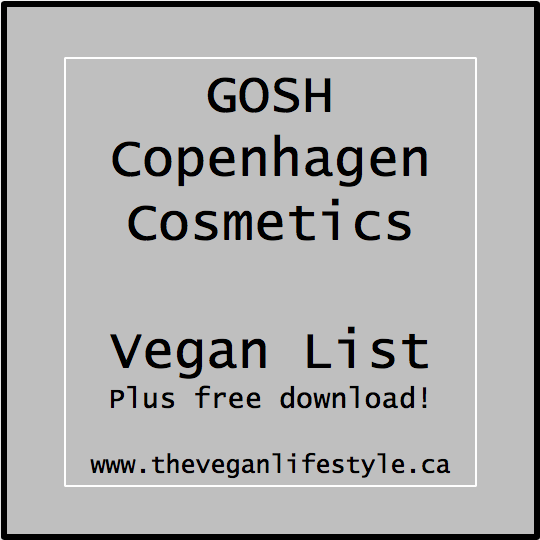 Gosh is 100% cruelty-free and they have made a vegan section on their website. On the FAQ page on their website they have stated they do not test or commission a third party to test for them. I asked them about whether they are selling in a country that requires testing and if they ever would test when required by law. Their response is below for you to review. I've also linked a PDF version of this list at the bottom of this post for you to download. Pixi does not have a cruelty-free certification but I reached out them to get more information on their cruelty-free status. Their response is below. 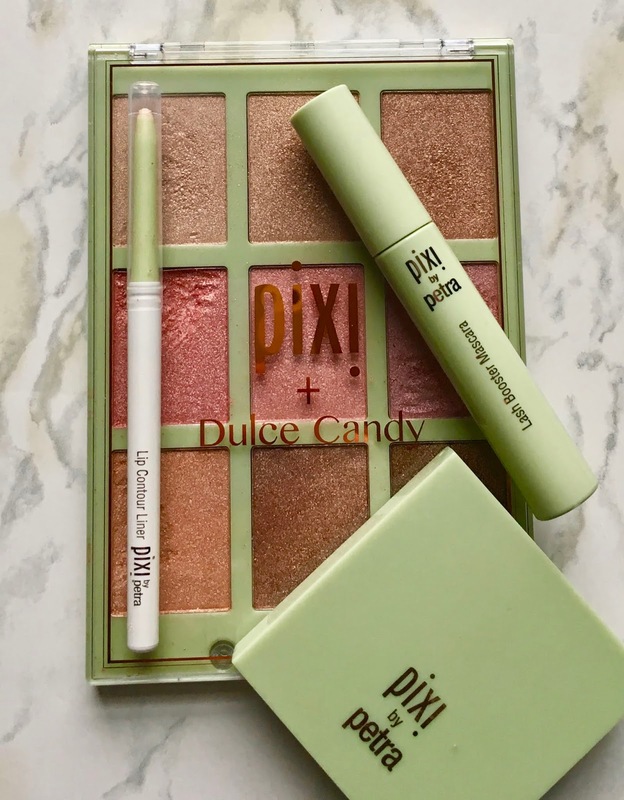 Pixi was able to send me a vegan list for their cosmetics as well. They don’t have vegan labelling on their website or packaging. I've made a PDF version of this list for you to download and take into stores with you. This link is at the bottom of this post. 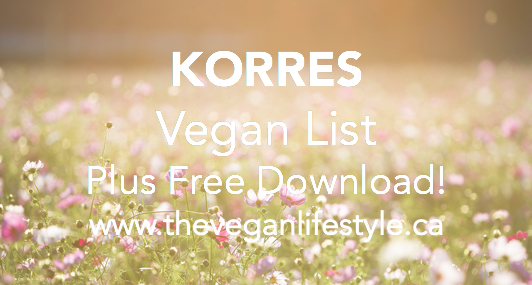 Korres is not a certified cruelty-free brand but their statement on their website has addressed some of the cruelty-free definition requirements. I also reached out to them for more information and I received the following responses from them by email. Based on their response, Korres is taking precautions to ensure suppliers are cruelty-free and are not allowing animal testing on their products when it's required by law and is a cruelty-free company. The following list is all of their vegan options which they are labelling on their website and packaging. I've made it into a PDF version you can download and it's linked at the bottom of this post. Essence is a cruelty-free brand who are owned by Cosnova. I reached out to Cosnova to confirm if they are cruelty-free and from their response below, they are and all of their brands are cruelty-free. Cosnova owns Essence, Catrice and L.O.V. 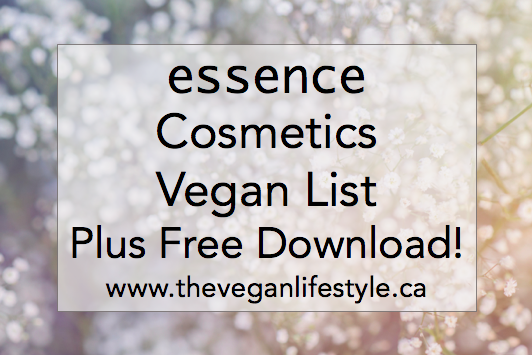 Essence has labelled their vegan products on their website but they don’t have vegan labelling on their packaging so this guide and the free PDF version linked at the bottom of this post will be useful when shopping in stores.